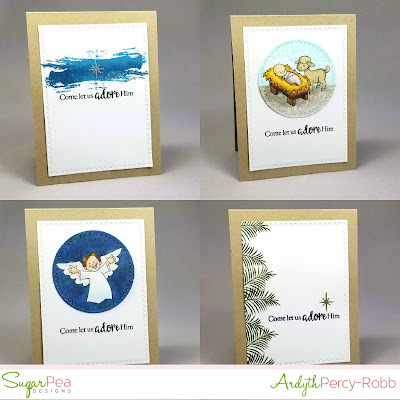 I'm on the SugarPea Designs Blog today with these 4 Christmas in July cards and some tips for mass-producing cards! Love that single star with arty background. sweet, I am going to start mine in August.